Adventurers (128 pages). Create the ideal alter-ego! Pick from among 11 professions and nine races. Choose from over 100 weapons, more than a dozen kinds of armour, and hundreds of other times. Customize everything - abilities and gear. Exploits (112 pages). Rules for fighting; for exploration, sneaking, trading, and many other feats; for bad things, like traps, hazards, and combat injuries; and for good things, especially treasure. 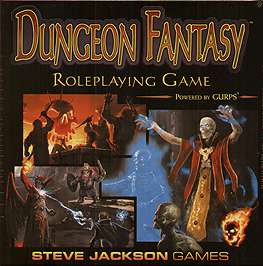 Capped off with advice on creating dungeons and running the game. Spells (80 pages). Over 350 spells for your bards, clerics, druids, and wizards. Monsters (64 pages). More than 75 fiendish foes, many with subtypes and variants. Careful classifications, dozens of detailed special abilities, and tactical advice make it easy to use these monsters - or to invent new ones. Dungeon (24 pages)/ A ready-to-run introductory adventure. Maps. Two large, double-sided maps to game out battles. Counters. More than 100 stand-up cardboard figures (with 12 plastic bases) let you represent the heroes and their rivals. Dice. Defeat your enemies using three six-sided dice! What's left is you: Are you ready to slay monsters, grab their loot, and teach Evil a lesson?